Do you simply not have the time right now? Business is brusque, the kids are hungry, the day job wants you to work late, you’ve neglected the gym since 1984 and social life, what social life? BOTH? And now you’re praying for a miracle to whisk you away to a tropical island. Well, it’s time to get smarter. 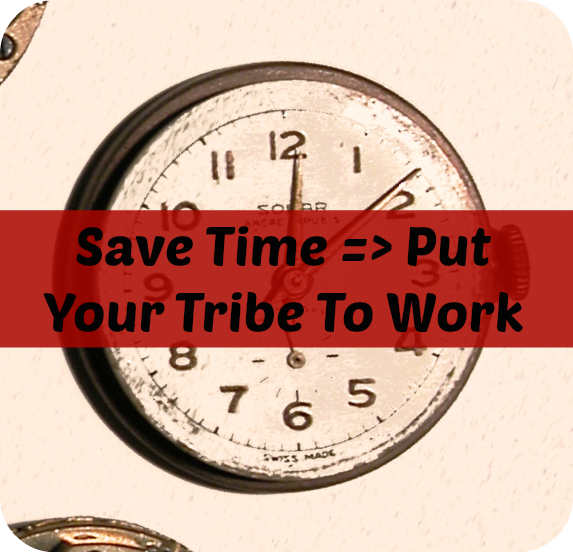 It’s time to put your tribe to work for you! You need to learn how to be a content collator or aggregator and to effectively crowd source your content. The simplest way is to post a series of links to great content your readers have written. Something along the lines of what Sarah from SillyGrrl.com does with her Blog Love series. Your readers will love you for it. I’m always on the lookout for the latest Blog Love post because I know there will be a bunch of amazing gems to dive into. Imagine taking it to a whole other level though. 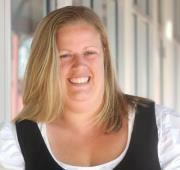 Say hello to Danny Iny from Firepole Marketing. This man is the master of setting his tribe to work. Readers wrote posts about anything from new technologies, to old-fashioned ideas made modern, to whole new theories – all ideas and techniques for great marketing. 20 finalist posts published across a month. 20 posts that Danny and his team didn’t have to write. And 20 posts guaranteed to be heavily promoted by the finalists. Nice work don’t you think? To step it up a notch, in January 2013 Danny ran the “Awesome Engagement Contest”. With fifteen finalists each having written a post published on Firepole Marketing and the social stats above, you might say it’s not too shabby. You might argue that’s easy when there is $2,350 in the prize pool. Of course people will enter for that but you don’t have that sort of money to give away. Why am I wasting your time talking about this? Well, you don’t have to be a big time blogger with cash to splash like Danny to get your readers to play ball. If you have an e-course or other product why not offer free access for the finalists with a VIP upgrade for the winner. Not only will it not cost you anything, but you can then also ask for testimonials from the recipients. Or perhaps you can find a sponsor for your blog challenge or competition. If you already work with brands why not approach them to support your efforts – especially when they are more likely to get great exposure. A little bit of creativity can get you ahead. 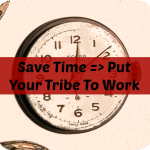 Now you’ve got a couple of very effective strategies to put your tribe to work, I want you to tell me – have you tried a similar strategy before? What worked? What didn’t? If this is all new, how can you apply these ideas to your blog? Identify the first step now and share your ideas in the comments below. Caylie Price, owner of Better Business Better Life , is currently working her way around the interwebs with her 21 day Blogging For Growth tour. She is also co-author of How To Host ASwingin’ Blog Challenge. Download the first chapter FREE to learn more. ← READY FOR THANKSGIVING? Don’t fret, help is here.